Desiring,seeking: this means giving time as well as attention to what matters most to you. It means aligning values with purpose and allowing yourself to be your own full self in whatever situation you find yourself. It means opening to the highest inspiration and the most spacious, inclusive teachings. It means caring very much how your choices and behaviour affect others, but with less fear of superficial judgements. It means feeling at home in your own life: trusting the guidance of the “small still voice within” that only wants good for you. It means trusting that you are capable of learning from your own experiences. And being fully aware that every new day is a blessing. 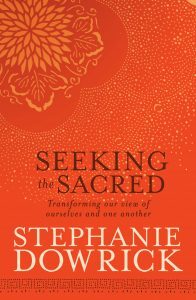 Falling Upward is essentially a meditation on contemporary spiritual life – and living it in the real world – that sets the scene in the inclusive, wisdom-seeking way that I hope my own Seeking the Sacred does. Of course Rohr’s book reflects his experiences, and my book reflects my very different life, but this is also an invitation to live each sacred moment to the full. It beautifully points us towards deepened purpose, joy and gratitude, with energy to spare for times of sorrow. 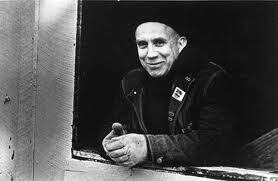 Thomas Merton would have welcomed it; so can we. Falling Upward and Seeking the Sacred (and another million-odd titles!) 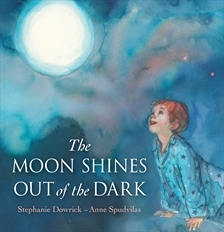 are available from this on-line bookstore. Sales greatly benefit the Universal Heart Network.